The automatic variants of the recently launched Toyota Yaris C-Segment sedan are proving to be a lot more popular than the manual gearbox equipped variants. Nearly 2 out of every 3 bookings for the Yaris are for the automatic variants, which is something very surprising in the C-Segment sedan segment. There are multiple reasons why buyers are opting for the automatic variants of the Yaris. 1. Comfort and refinement. A CVT automatic gearbox is jerk free, and this makes vehicles using it extremely refined. Pitched as a premium C-Segment sedan, the CVT automatic gearbox equipped Yaris ticks all the right boxes when it comes to sophistication. 2. Available across 4 variants. The CVT automatic gearbox option is available across all four variants of the Yaris, making it quite attractive to buyers. Generally, automatic variants of budget cars are limited to the mid or top spec variants, therefore limiting the choice. When it comes to the Yaris, Toyota has bucked this trend, and it seems to be working very well for the brand. 3. Traffic congestion. Day by day, traffic congestion in Indian cities is growing, making manual gearbox equipped cars cumbersome to drive. Also, customers who are now spending about Rs. 15 lakhs for a new sedan are ready to fork out the premium that automatic cars command. This is another reason why the majority of buyers are opting for the Yaris CVT rather than the MT variants. 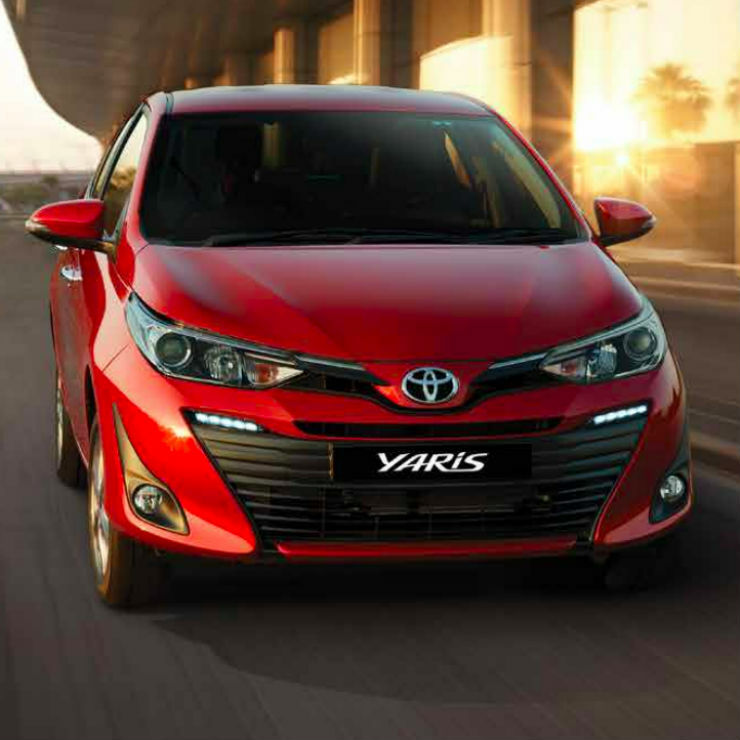 The Yaris is powered by a 1.5 litre-4 cylinder petrol engine with 108 PS-140 Nm. This engine is paired to a 6 speed manual gearbox as standard while the CVT automatic gearbox with 7 stepped shifts is offered as an option. The top-end variants of the Yaris CVT also offer paddle shifters. Toyota has steered clear of a diesel engine for the Yaris, and has no plans of offering a diesel motor with this sedan even in future.